The question of Israel and the Jews is a rather mute subject amongst Jehovah’s Witnesses and for good reason. The Watch Tower has long taught its members that within the economy of God literal Israel is now defunct and has been replaced or superseded by spiritual Israel – comprising of 144,000 spirit-anointed witnesses. This elite group are said to have their eternal dwelling secure in heaven, for the purpose of ruling forever over a restored paradise earth. Despite this clear statement the Watch Tower has not always been supercessionist. To the surprise of many for over fifty years C. T. Russell and to some extent J. F. Rutherford both taught that the Bible predicted a restoration of the Jews back to Palestine during the “last days” followed by an active role for Israel within the Millennium kingdom. The purpose of this article is to explore how and why Russell’s literalist hermeneutic was later rejected in favor of the spiritualization of Israel. While modern Jehovah’s witnesses may reject such an excursus as “old light” it is essential to understand the historical situation and push-pull factors behind the changes in order to evaluate doctrinal veracity. Overall it shall be argued that the Jehovah’s Witness view of spiritual Israel is hermeneutically and historically untenable. “The re-establishment of Israel in the land of Palestine is one of the events to be expected in this Day of the Lord. The prophecy [Amos 9:11, 14-15] cannot be interpreted in any symbolic sense. They [Jews] are to be planted upon “their land” the land which God says he had given them, the land which he promised to Abraham… to this day [they] look and long for the hope of Israel. The literalness of the promised return of Israel to their own land and the rebuilding of Jerusalem upon her own heaps cannot be questioned…the promised reconstruction of Jerusalem upon her old foundations implies a national reorganization of Israel” emphasis added (Russell, 1915, p. 243-44, 257-258). “Estranged from God and from fellow-men of every nation, sad and pitiable indeed has been their miserable condition…God has permitted these afflictions…as the penalty for the national crime of rejection of the gospel and crucifixion of the redeemer, he [God] will nevertheless in due time reward the consistency of their faith in his promises, to which they have so perseveringly held” emphasis added (Russell, 1915, p. 247). In Russell’s mind the Jews had held fast to the promises of God, and Jehovah would not fail to fulfill these promises, indeed Russell believed the restoration had already began. “God foreknew their pride and hardness of heart” and “the time for the promised restoration of God’s favor to Israel draws on” emphasis added (Russell, 1915, p. 247). The remainder of the chapter lists examples of political progress, purchase of land in Palestine, evidences of Jewish return and establishment of agricultural colonies. Moreover Russell lists pages of direct quotes from various sources, many of which are Zionist, each example providing evidence that Jewish restoration was well under way. “Blindness, in part, is happened to Israel, until the fullness of the Gentiles be come in… 1881…marks the time for the beginning of the turning back again of special light upon the long blinded Jews… the present beginnings of favor to Israel are only droppings before a mighty shower which will refresh, not only Israel, but all mankind” emphasis added (Russell, 1915, pp. 277-278, 287). Interestingly Russell held in tension literal Israel alongside spiritual Israel. He viewed both as legitimate realities. “We believe that spiritual Israel is nearly complete, therefore we are expecting blessings upon the Israelites who are according to the flesh, and the turning away of their blindness, anticipating that they will be the first of the restitution class to be blessed by spiritual Israel…after they have thus received mercy through the complete and glorified church of Christ, they will indeed be used as the Lord’s instrument for blessing all the families of the earth, and thus the Abrahamic promises will be fulfilled unto both the seeds – both that which is according to the flesh, and that which is according to the spirit” (Russell, 1915, pp. 299). “Palestine shall be constituted a FREE STATE, the government of which shall be in the hands of a board of thirteen Directors, appointed as follows: One Director to be chosen by each of the following Governments: – Great Britain and Ireland, France, Germany, Russia, Austria, Italy, Turkey, Greece, and the United States of America, should they approve the scheme; and the remainder of the thirteen to be elected by the suffrages of the people of Syria, none being eligible to said election who has not lived in the land for three consecutive years. Religious liberty should be fully guaranteed to all the inhabitants. Each Director should be a resident of the land during the tenure of office, and should receive L1,000 sterling per annum, and no other fees, emoluments or bribes, under penalty of disgrace and banishment…Each of the nations invited to join representatively in the government should be required to contribute a sum of money, say L10,000, for the carrying out of the project and as a test of its interest in the welfare of the land and its people. This I conceive to be a feasible plan, because all of the above nations are interested in Palestine, having directly or indirectly expended large sums of money there… A liberal Constitution should be drawn up, alterable only by the consent of at least nine of the thirteen Directors. What is needed here… is a good government, which will protect the poor from the ravenous and wealthy. Banking institutions on sound bases, and doing business honorably, are also greatly needed. Russell was unequivocally a pro-active political Zionist. In fact Benjamin Netanyahu, while Israeli Ambassador to the United Nations acknowledged, “A recognition of Pastor Russell’s important role as an early American Christian advocate of Zionism is long overdue.” (Horowitz, 1986 back jacket) How different this is from Russell’s modern day progeny. They go on to say that the creation of the state of Israel in 1948 was nothing more than a political anomaly manufactured through the United Nations, which they claim is an anti-Christ organization. Antithetically this same Watch Tower article scolds evangelical Christians for believing that modern Israel might fulfill bible prophecy. As to why the Watch Tower chose John Hagee as their evangelical example is a mystery. However the irony is astonishing, because on the question of Israel C.T. Russell and John Hagee unquestionably agree; they both uphold what is known today as “duel covenant theology” believing that Abrahams decedents are saved through the eternal covenants. Such hypocrisy is concealed by Watch Tower revisionists whom hide the facts of history from a new generation of members. In stark contrast, between 1879-1934 Watch Tower adherents were Zionist. In fact everything about the magazine and corporation was Zionist. The magazine was called Zion’s Watchtower and Herald of Christ presence – the corporation was called Zion’s Watch Tower Tract Society. 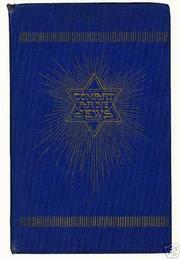 Jewish imagery such as the star of David featured in many publications. We may conjecture; If Russell and his fellow believers had lived to see Israel’s rebirth in 1948 what would they have concluded? Surely that Jehovah had used the United Nations to accomplish his will for his covenant people. Where then did Russell acquire his understanding of Israel? Firstly his approach to the Old Testament text concerning Israel was literalist. Israel meant Israel. A hallmark of literalism is the belief that God will return the Jews to the Promised Land probably before conversion (Schulz, de Vienne, 2014, p. 57). To mainstream Adventism Jewish restoration was (and is) an anathema. Adventists of the mid 1800’s holding a Zionist position were at odds with their brethren and invariably separated out to form their own peculiar brand. Foremost among the Jewish restorationist were the Age to Come groups. Influential in Russell’s adoption of Zionism was his mentor Jonas Wendell as well as George Stetson. Stetson had become an Age to come believer in 1860 and wrote regularly in the journal The Restitution and The Rainbow. Russell had long read both periodicals from which he adopted Zionism. George Storrs and Nelson Barbour were also influential in Russell’s restorationist views. (Schulz, de Vienne, 2014, pp. 85, 88-90, 164). Zionist support continued through the tenure of the second Watch Tower president J. F. Rutherford up until 1932. “In due time God raised up Theodor Herzl to begin to stir in the minds of the Jews a desire to return to Palestine. Any one who has visited Palestine…knows that this prophecy [Amos 9:11, 14-15] is now actually in course of fulfillment…That God intends that the Jews shall again inhabit this land and build their homes there, He plainly states through his prophet [Isaiah 65:21-23]. 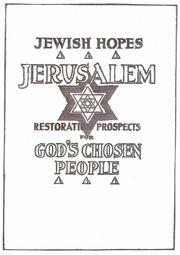 The time has come for the Jews to return to Palestine…fulfilling prophecy” emphasis added (WTBTS 1921b pp. 707-716). New Light – or progressive theology, was adopted early by Russell and has been the Watch Tower’s fall back mechanism for decades. In essence progressive theology anticipates that a developing body of information, and those who accept it as truth, must be prepared to accept changes as new light is shed on any given subject” (Zydek, 2010, p. 81). Conveniently for the Watch Tower the channel for new light was assumed the form of the Governing Body of Jehovah’s witnesses. Through a declaration of the Governing Body a doctrine held for decades and once taught as “truth” can be modified or jettisoned according to the latest “light”. In other words “truth” is understood as fluid, progressive and always evolving. Hence as Jehovah reveals new light to the Governing Body an old truth can be replaced with a new truth without the slightest blow back. Watch Tower Zionism is a good example of doctrinal revisionism. In 1932, after upholding Zionism since his first contact with Russell in 1894 Rutherford employs new light theology to present a radically different Israel to his followers (WTBTS, 1894, p. 1646). The revision began in 1931 at the Colombus, Ohio convention wherein the official name “Jehovah’s witnesses” was adopted for the movement. The praxis for this move aimed to distinguish Rutherford’s followers from other schismic Bible student groups. The name itself is taken from the prophecy of Isa 43:10 “You yourselves are my witnesses, declares Yahweh, and the servant whom I have chosen,” (JB). How then, can literal Israel be substituted for the anointed class of the Watch Tower? If one employs a literal, historical, grammatical hermeneutic then the application is preposterous. Nevertheless Rutherford overcomes the literal, historical meaning via hyper-spiritualization; literal Israel becomes spiritual Israel, and with one sweeping claim the Watch Tower movement becomes the spiritual airs of ancient Israel. The fallout from this interpretation is obvious. In the economy of God Israel is finished and therefore Jewish restoration cannot be attributed to Jehovah. Instead the promises given to ancient Israel are usurped and applied to the 144,000 anointed class. Thus in one fell swoop Rutherford extinguished fifty years of Zionism. 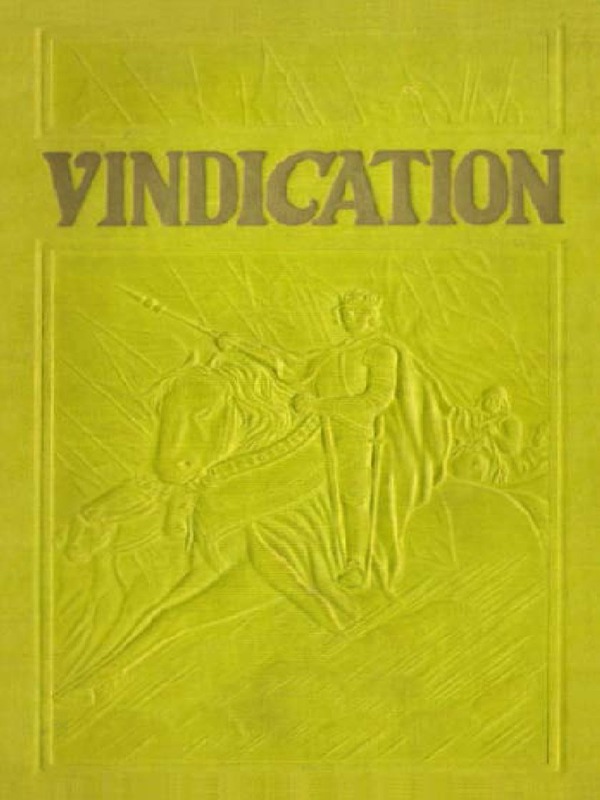 In 1932, with a heightened sense of God’s hand upon the organization, Rutherford published his second in a series of three books entitled Vindication. Herein Rutherford claims that biblical prophecy was undergoing fulfillment through spiritual Israel. In technical language this is known as reader-response criticism wherein the reading community – in this case Rutherford – reinterprets scripture in light of his community i.e. the Watch Tower. In turn the literal restoration of the Jews to Palestine is now deemed an anathema. This troubling statement suggests that Zionism was satanic. If true then Russell and his followers for fifty years preached a doctrine of demons? How could Jehovah’s organization get it so wrong for so long? Surely such error debunks the notion that Jehovah’s witnesses are spirit directed. In truth the vain imaginations of men lead this religion, as the evidence substantiates. From a Christian perspective the question of Israel follows two broad theological positions. 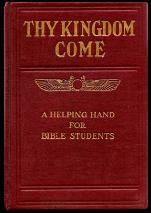 The first is known as the continuity perspective and best expressed through reformed covenant or replacement theology. Continuity suggests that the Christian church inherits the promises of God made to Abraham. Consequently the Church supersedes national Israel. To achieve this change a literal reading of the Old Testament is not sufficient, instead the text must be spiritualized to mean the Church. For example, when scripture speaks of Israel being restored to the land, this really means that the Christian church will be blessed and so forth. The second perspective is known as discontinuity, best expressed through dispensational theology. Discontinuity suggests that Israel and the Church are distinct groups. God dealt with literal Israel under the law and then in the Christian dispensation he works through the Church. However each group remains distinct and the promises God made to Abraham remain yet to be fulfilled upon the Jews. To arrive at this interpretation a literal hermeneutic is employed. Israel literally means Israel. Both continuity and discontinuity models are based upon scripture. Each has valid points of argumentation. Unfortunately these theological positions cause polarization, heated debate and sometimes division. It is beyond the scope of this article to delve further into these perspectives. However, for those wishing to explore more fully this topic I would suggest the book Continuity and Discontinuity – Perspectives on the relationship between the Old and New Testaments by John S. Feinberg. The main point to remember is that both protagonists believe that salvation is by faith alone in Christ alone – which is the heart of the Gospel message unifying all true Christians (Ephesians 2:8; Romans 5:1) Israel is essentially a non-salvific peripheral subject and thus we are at liberty to hold differing positions. In conclusion, it has been shown that Russell was a fully-fledged Zionist. He proclaimed a literalist message of divine restoration of the Jews to Palestine, a message that echoed throughout Watch Tower publications for over fifty years. Russell lived and died a Zionist. Rutherford on the other hand began as a Zionist and defended this doctrine up to the publication of his book Vindication volume II in 1932. While anti-Semitic rhetoric did creep into later 1920’s literature it was Vindication that finally rejected Zionism. Employing a spiritualizing hermeneutic Rutherford procured Israel and the title “Jehovah’s witnesses” for his own movement. In so doing the 144,000 became the new spiritual Israel. From literal to spiritual – a change made possible by virtue of new light theology and perhaps inevitable if the Watch Tower was to survive beyond 1914. 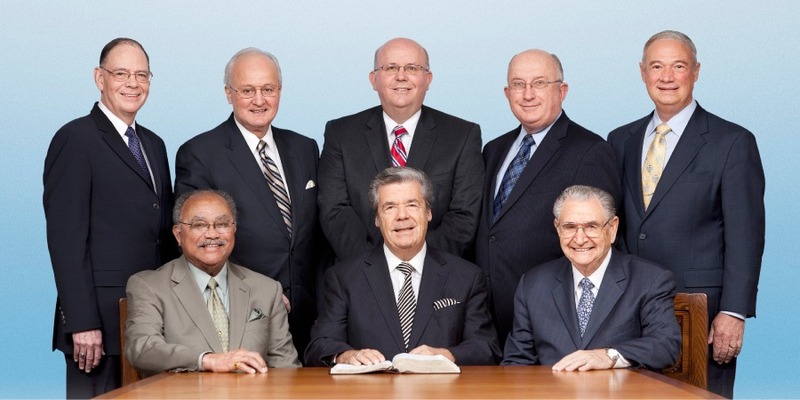 Today the mantle of spiritual Israel plays out through the Governing Body of Jehovah’s witnesses. Through spiritualization this small group of men have been turned into an all-powerful magisterium dictating religious belief, policy and practice. Today Rutherford’s spiritualization of Old Testament Israel echoes throughout Watchtower literature. Having looked at the Christian model of continuity and its spiritualization of literal Israel it might be suggested that the two hermeneutical methods are comparable. However, careful examination reveals that replacement theology identifies spiritual Israel as the whole Christian Church and does not attribute the title spiritual Israel to any specific religious group. For example the 144,000 are interpreted as being the whole church. This universal view conflicts with Watch Tower theology wherein spiritual Israel is limited to just 144,000 and represented today by the “faithful slave” or Governing body. Can these few men truly represent all of spiritual Israel? Invariably this interpretation creates a two-tear system of salvation. Those of the 144,000 spiritual Israel are predestined to heavenly glory – while the remaining majority of Jehovah’s witnesses are said to belong to an earthly class. Moreover for Christians holding to a discontinuity position then this interpretation of Israel is simply absurd. Overall we can conclude that both hermeneutically and historically the Jehovah’s witnesses go beyond what is written by appropriating the title Israel. In fact they go beyond spiritualization by creating new meaning according to the needs of the community. Thus the whole of the Bible is routinely interpreted through the lens of spiritual Israel (144,000). As highlighted earlier this is a form of reader response criticism, hermeneutically untenable in every way. Without a shadow of a doubt Rutherford’s spiritual Israel is a fabrication created to address prophetic failure and to re-envision and secure the Watch Tower’s future. As such this false Israel of God should be categorically rejected. I urge Jehovah’s witnesses, to re-examine this important chapter in Watch Tower history and weigh carefully doctrinal changes. It is insufficient to accept new light without critical examination. Scripture urges that we test and check everything. It is time to break free – Christ is waiting – do not submit to this false doctrine of 144,000 spiritual Israel for a moment longer. Pray for guidance and revelation, you will not be disappointed. May God the father richly bless you and reveal fully his Son Jesus to you – If the Son sets you free you shall be free indeed (John 8:36). Gruss, E. C. (2007). Jehovah’s Witnesses: Their claims, doctrinal changes, and prophetic speculation. What does the record show? (2nd ed.). Maitland, FL: Xulon Press. Horowitz, D. (1986). Pastor Charles Taze Russell: An Early American Christian Zionist New York: Philosophical Library. Macmillan, A. H. (1957). Faith on the March Prentice Hall Inc. Englewood Cliffs N.J.
Penton, M. J. (2002). Apocalypse Delayed – The Story of Jehovah’s Witnesses (2nd Edition) University of Toronto Press. Russell, C. T. (1915) Studies in the Scriptures Vol. 3 Thy Kingdom Come. Watch Tower Bible and Tract Society. Rutherford, J. F. (1925). Comfort for the Jews. NY: International Bible Students Association. Rutherford, J. F. (1921a). The Harp of God. NY: Watch Tower Bible and Tract Society. Rutherford, J. F. (1927). Creation. NY: Watch Tower Bible and Tract Society. Rutherford, J. F. (1932). Vindication Vol. 2. NY: Watch Tower Bible and Tract Society. Schnell, W. J. (1956) Thirty Years a Watchtower Slave Grand Rapids Baker Book House. Schulz, B. W. and de Vienne, R. (2014). A Separate Identity – Organizational Identity among readers of Zion’s Watch Tower 1870-1887. Fluttering Wings Press. WTBTS. (December, 1891). A New Government for Palestine Proposed Zion’s Watch Tower and Herald of Christ’s Presence. Vol. XII Reprint pp. 1342-1343. WTBTS. (April 15, 1894). Out of Darkness into His Marvelous Light Zion’s Watch Tower and Herald of Christ’s Presence. Vol. XV Reprint p. 1646. WTBTS. (March 16 and 30 1921a) Zionism Certain to Succeed Golden Age Vol. II Easter Number pp. 369-382. WTBTS. (August 31, 1921b) Is Zionism a Stupendous fallacy? Golden Age Vol. II pp. 707-716. WTBTS. (May 15, 1955). Modern History of Jehovah’s Witnesses: Part 10. The Watchtower Announcing Jehovah’s Kingdom, p. 296. WTBTS. (1988). Revelation: Its grand climax at hand. Brooklyn, NY: Watch Tower Bible and Tract Society. WTBTS. (November 1, 2010). 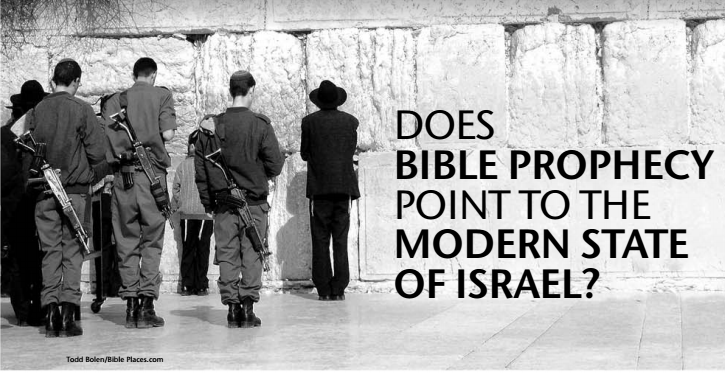 Does Bible Prophecy Point to the Modern State of Israel? The Watchtower Announcing Jehovah’s Kingdom pp. 27-29. Zydek, F. (2009). Charles Taze Russell: His life and times. The man, the millennium and the message. United States: Winthrop Press. Russell was not wholly a literalist; rather he employed an array of interpretive methods including typology, allegory, and Gnosticism. Today various Watch Tower schismic groups still hold to Russell’s teachings on Zionism. Such a view is a grave error bordering heresy. In actual fact all people including Jews must accept Jesus as Lord and Savior to obtain redemption and eternal life.